1. 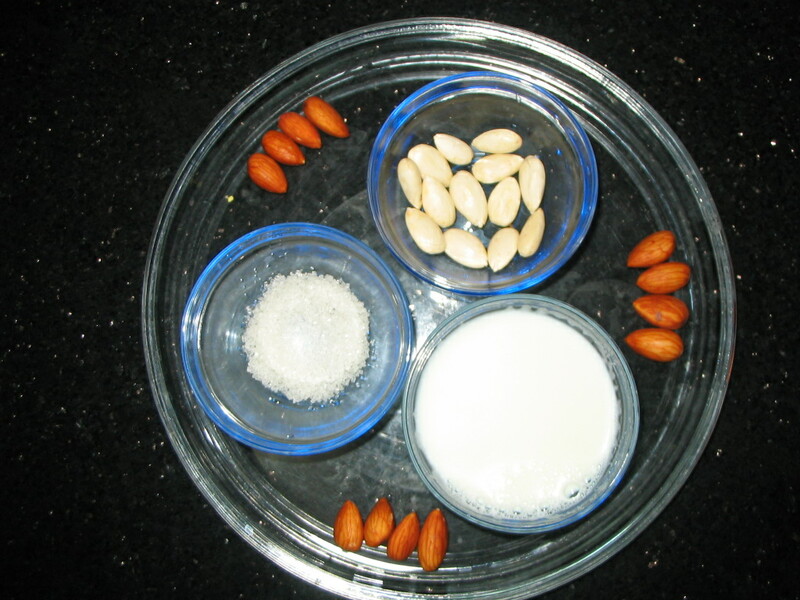 Drain and peel the almonds. 2. Cut each almond into 3 pieces. 3. 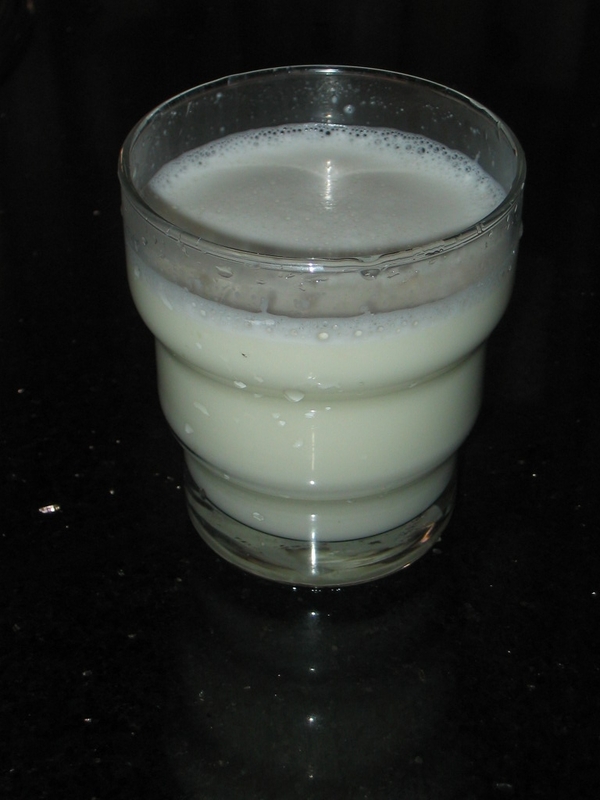 Bring the milk to boil in a pan. Add the almonds and sugar to taste. 4. Fine grind the ingredients or mix well.